Costa de la Luz Tourist Information & Holiday Guide. In this tourist guide to the Costa de la Luz we help visitors who are planning a trip with useful and practical advice on many tourism related subjects such as car hire, accommodation, sightseeing, weather, where to go, where to stay, travel information and what to see and do in the Costa de la Luz. To make the best of your visit and holiday we cover everything you need to know about the Costa de la Luz. We also have photos, picture galleries, views, videos and webcams of the Costa de la Luz so you can see what the various towns and cities of the Costa de la Luz have to offer you for your holiday. What (and Where) is the Costa de la Luz? It is divided into two main parts by the mouth of the Guadalquivir River; the eastern section which is the province of Cadiz goes from Cadiz down to Tarifa and the western section which is the Huelva province goes from the city of Cadiz to the mouth of the Guadiana River where Spain meets the Portuguese border. Because the Costa de la Luz meets the Atlantic Ocean, the water temperatures are lower than for example the Costa del Sol or the Costa Blanca where they border the Mediterranean Sea. Having said that compared to the Costa del Sol the beaches sand quality is better being a more golden colour (many Costa del Sol beaches have a brown/grey sand). The Costa de la Luz is a relatively undeveloped and unspoilt part of Spain although its popularity is growing as people catch on as to how good this coast is. The beaches are fantastic and prices, especially property prices, are lower than the built up Costa del Sol and to a lesser extent also the Costa Blanca. Much of the Costa de la Luz consists of protected national parks and areas so they will never be built upon and also so far the region has kept strict planning directives in place which means so far the resorts of the Costa de la Luz have kept their original character. Contrast this with the high-rise apartment blocks and hotels which line many parts of the Costa Blanca and Costa del Sol. One downside is that the Costa de la Luz is often very windy, although wind-surfers and kite-surfers are attracted here, especially to the resort of Tarifa, the wind can be off-putting and annoying when you are wanting to eat outside (al fresco) or sunbathe on the beach. The Costa de la Luz is an area of beautiful natural scenery, a real haven for nature and animal lovers. The Natural Park of Doñana with many rare wildlife species covers more than 100,000 hectares of land, spreading over the provinces of Huelva, Sevilla and Cádiz. The El Estrecho Nature Park is located at the point where the Atlantic Ocean and the Mediterranean Sea meet. Thousands of birds fly over this area each year on their migration to the warmer climates of Africa. Moreover the Costa de la Luz is a haven for lovers of history. 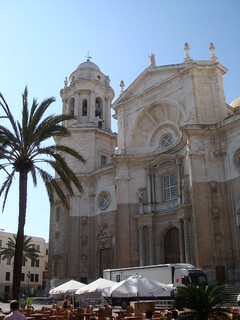 In particular the cities of Cadiz, Jerez and Seville have many historic buildings, landmarks and sights. Starting at the southernmost tip of Spain our tour of the coast of the Costa de la Luz begins at the surfing capital of Spain, Tarifa. Going up the coast there are small resorts such as Paloma Baja, El Lentiscal, Atlanterra and Zahara de los Atunes which have grown to become fashionable, in part due to the 12 km of unspoilt sandy beaches. From Barbate, take the A-314 inland to Vejer de la Frontera. Vejer is a classic white-washed Moorish hilltop town perched high above the steep gorge of the river Barbate. Declared a national monument in 1978, Vejer is a labyrinth of white houses and winding cobbled streets. Further inland is the Benalup Hotel Golf & Country Club. Back on the coast up from Barbate, we have Los Canos de Meca, Zahora is a small unspoilt village backed by cliffs and pine trees, Torre Neuva, El Palmar is a popular spot for people learning to surf as the waves are often perfect for beginners but it is mostly famous for the Trafalgar lighthouse (Cape de Trafalgar) near the site of the famous Battle of Trafalgar. Next up the coast is Benitos del Lomo, the larger town of Conil de la Frontera, Fuente del Gallo, Roche, Torre del Puerco, Novo Sancti Petri, La Barrosa and Sancti Petri La Barrosa. At this point just inland off the coast we have the major town of Chiclana de la Frontera. Further inland is the town of Medina-Sidonia. This is a good area for golf lovers with three courses nearby: Golf Novo Sancti Petri, Lomas de Sancti Petri and Meliá Sancti Petri Hotel & Golf. Back to the coast we have La Coquina, Camposoto, San Fernando before we come to the old city of Cadiz which is located on a rocky peninsula jutting into the Atlantic. With a history going back over 3,000 years ago, Cadiz enjoyed its greatest period of wealth during the 18th and 18th centuries when it was the major gateway to the New World. Back on the N-344 to the mainland is El Trocadero, Puerto Real, Valdelagrana and El Puerto de Santa Maria famed for being where Columbus lived for several years during the 15th century. Just outside El Puerto de Santa Maria is the Aqualand Bahia Water Park which is usually open from June till September. It brings a great fun experience for all the family with many water slides, pools and a wave machine. Near here is Villa Nueva Feel Golf. Inland is Jerez de la Frontera famous for its sweet wines (sherry). Jerez is a striking and beautiful city, famed for its lifestyle, flamenco dancing and the flamenco museum. Visit the royal equestrian centre (Real Escuela Andaluza de Arte Equestre) and see the fine white horses perform their amazing artistic movements. Further inland is Arcos Gardens Golf Club. Back along the coast Vistahermosa, Las Redes, La Andreita, Fuentebravia, Rota, Jardin de la Almadraba, Barriada de Aguadulce, Urbanisation La Ballena, Costa Ballena, Las Tres Piedras, Chipiona, La Jara, Villa Horacia, Club de Campo and Sanlucar de Barrameda which is a small town flanked by the Guadalquivir estuary. From here you can get a ferry across to the Doñana national park. Stop here for the famous Manzanilla wine. The estuary continues far inland all the way to the famous Spanish city of Seville (Sevilla). Seville is the flamenco capital of Spain and has many famous monuments. The Parque Nacional de Doñana is Europe’s largest national park protected by a UNESCO agreement. A wetland area, it contains several rare animal species, notably the elusive Iberian Lynx and the Spanish imperial eagle. There are also a number of deers, wild boars, badgers, otters and birds including vultures and eagles. In the protected park are the Casa de las Salinas de San Isidro, Palacio de las Marismillas, Torre de San Jacinto, Palacio del Ray, El Palacio de Doñana, Casa de Santa Olalla, Torre de la Higuera o Matalascanas which is a purpose build beach resort and Ruinas Torre Vigia. Up the coast is Base de Arenosillo, Alcor, Mazagon, Ciparsa, Palos de la Frontera, the large port of Huelva is situated between the estuaries of the Tinto and Odiel rivers. Although not in itself a very attractive tourist destination in this area, there are important historic sights such as the La Rabida monastery where Christopher Columbus planned his voyages to the New World. Continuing up the coast from Huelva is Punta Umbria, Urbanisation Pinos del Mar, Laguna del Portil, Nuevo Portil, El Rompido, Nueva Umbria, La Antilla, Islantilla, Casa Azul, Isla Cristina is a resort with 4 miles of blue flag beaches, then the town of Ayamonte which borders Portugal. Are you thinking of moving to the Costa del la Luz? We have a useful article here with suggestions on the best places to live. The airports that best serve the Costa de la Luz are Jerez Airport situated around 35 miles inland from Cadiz and Seville airport located 10 km northeast of Seville. Airlines that fly to Jerez airport include: Air Berlin, Air Europa, Air Mediterranée, Air Nostrum, Astraeus, Condor, Finnair, Flightline, Helvetic Airways, Iberia, Jetairfly, Jetx Airlines, Lufthansa, Luxair, Ryanair, Spanair, Swiftair, Thomas Cook Belgium, Transavia.com, TUIFly and Vueling Airlines. Airlines that fly to Seville airport include: Aer Lingus, Air Berlin, Air Europa, Air Nostrum, Andalus Líneas Aéreas, Brussels Airlines, IberiaIberworld, NNeos, Ryanair, SAS, Spanair, TAP Portugal, Transavia.com, TUIfly, Vueling Airlines and Wondair on Demand. There is also Gibraltar airport and Malaga airport about an hour and a half away by car. Cadiz Tourist information – Cadiz is a major city situated on the Costa de la Luz and is rich in history. Major sights include the yellow-domed Nueva Cathedral, Plaza San Juan de Dios and Plaza De Topete and the Museo de Cadiz housing fine arts from artists such as Goya and Picasso. The legendary Cádiz Carnival is held in February. Chipiona Tourist Information – Chipiona is a popular beach resort on the Costa de la Luz, around 30 miles (50km) from Cadiz. El Palmar Tourist Information – El Palmar is a beach resort popular with people trying surfing for the first time. Also this is the location of the Cape de Trafalgar lighthouse near the site of the famous Battle of Trafalgar. Huelva Tourist Information – Huelva is a large port situated between the estuaries of the Tinto and Odiel rivers. Historic sights include the La Rabida monastery where Christopher Columbus planned his voyages to the New World. Jerez de la Frontera Tourist Information – Jerez is city northeast of Cadiz most well-known for its sweet fortified wines made from local grapes (Sherry). Jerez is nine miles inland between Cadiz and Seville. Jerez is also the home of the Centro Andaluz de Flamenco which attracts the best flamenco singers and dancers. Golf lovers will enjoy Montecastillo Golf widely regarded as the finest course in the province of Cadiz. Closer are the Montecastillo golf course (on the Barceló Montecastillo Resort) and Sherry Jerez golf course. Both hold European Tour events. The world famous Jerez Horse Fair (Feria del Caballo) is held in May. Sanlucar de Barrameda Tourist Information – Sanlucar de Barrameda is a small town with a lot to offer the tourist. 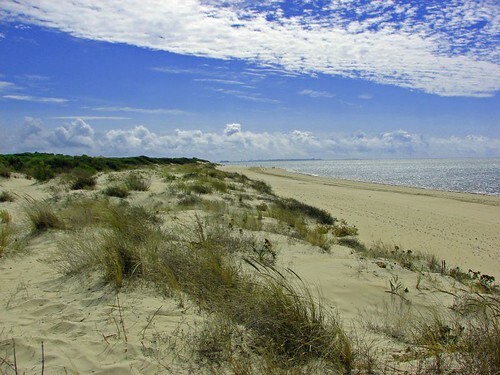 Catch a ferry over the Guadalquivir estuary to the national park of Doñana. Taste Manzanilla wine or visit the old quarter of Barrio Alto, the beaches are also excellent. It is also famous for its horse racing on the Bajo de Guía beach. Seville Tourist Information – Seville is the regional capital and one of the most exciting cities in Spain, a must-see city for any tourist to the area. Visit the taverns in the old barrio, the cathedrals and enjoy the fiestas such as the Feria de Abril, long daily processions that are both solemn and spectacular during the Semana Santa. Tarifa Tourist information – Europe’s southernmost town has a laid-back and youthful atmosphere, mainly due to the many windsurfers and water sports enthusiasts who come here due to the strong winds the Levante from the east and the Pontiente from the west. Vejer de la Frontera Tourist information – Vejer is one of those typically Andalucian white-washed villages perched high on a hilltop. Declared a national monument in 1978 Vejer’s old town has a mass of historical monuments including a castle, medieval walls and the minaret of the old mosque. The Dehesa Montenmedio golf and country club is close by on the A-340 in the direction of Tarifa. Zahara de los Atunes Tourist Information – Zahara de los Atunes is a fashionable seaside resort formerly a small fishing village 30 km north of Tarifa on the Atlantic coast. The broad 12 km stretch of unspoilt sandy beach is the key attraction for tourists. Also go see the Almadraba, built in the 15th century as a protection against pirates. If you are visiting the Costa de la Luz on holiday, if you live on the Costa de la Luz or are thinking of moving to the Costa de la Luz then we hope this Costa de la Luz tourist information has been useful. Please help us to make this the number one tourist resource for Costa de la Luz by adding any comments, reviews, ratings and feedback on any aspect of the Costa de la Luz that you know about. We also welcome your photos, pictures and videos of the Costa de la Luz for posting on our website. I would love to work in Tarifa as a windsurf teacher. A very undiscovered coast with some gems of beaches, one of the best areas in Spain I would say.